The Occidental is conveniently located in the heart of Sydney\\\\'s Central Business District on the corner of York and Erskine Street with public transport right on the doorstep. 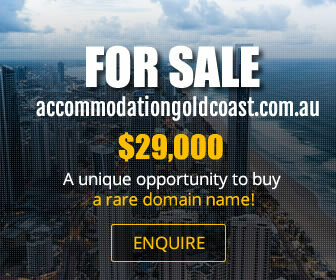 It is close to all major tourist attractions including Darling Harbour, The Rocks, The Opera House and all leading department and retail stores. It is ideally suited for tourists, business people, and the budget conscious traveller. Located on the ground floor of the venue, the Sussex Bar is a classic yet elegant space, maintaining its historic features and blended with a sharp interior. There’s also a sun drenched all weather courtyard providing an awesome backdrop to partake in a few beverages or a casual bite to eat with colleagues and friends. Locate on level 2, Suriya Lounge Bar provides a minimal classic interior to highlight the heritage features of what used to be the original lounge and parlour from back in the day. 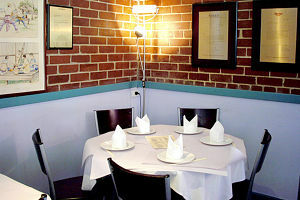 With comfortable lounges and intimate niches for relaxing, you can enjoy a drink or cocktail or try some tasty bites from the Suriya menu serving modern Thai food. 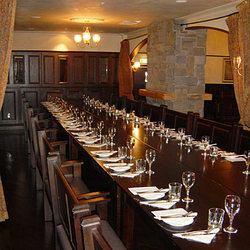 The Sussex is the perfect destination for any social or corporate function and celebration or a damn good party. 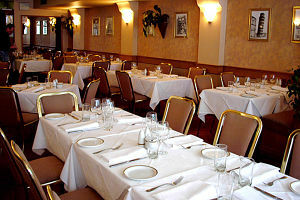 With its versatility the Sussex can cater and style to all manner of intimate or large scale functions and events. We offer a range of diverse areas and a flexible attitude towards any function to ensure your package is exactly what you and your guests require. Discover the tranquil beauty of St Bernards Hotel - Paradise made simple. St Bernards Hotel is situated in the most ideal position. The Hotel commands wonderful views of Tamborine Valley overlooking Guanaba Gorge, Moreton Bay, the Gold Coast skyline and the Pacific Ocean. On one hand you have the sea views and on the other the invigorating air of the mountains. 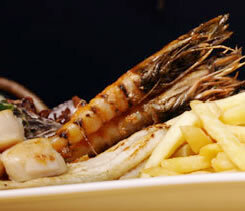 Dining at St Bernards Hotel is always a pleasure. Whether you’re looking to grab a cup of coffee, cool off with a satisfying meal after a walk in our world class rainforests, St Bernard’s Hotel has a menu and an atmosphere to fit the bill. From the freshest fish to the perfect tomato, our chefs take the time to choose the perfect ingredients to make your meal a memorable one. 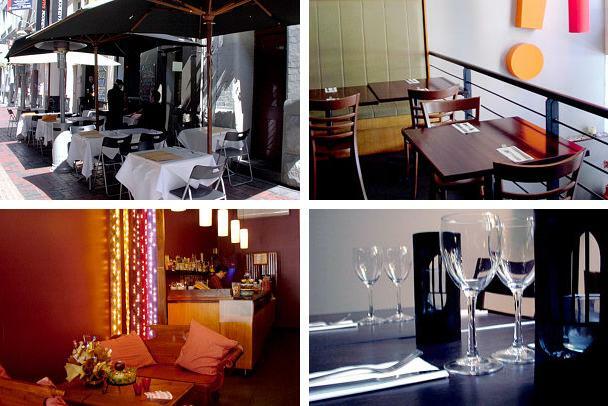 Our friendly and professional teams take pride and care to cater for all your needs. We specialize in Conferences, all types of functions from birthdays to anniversaries and all events from sporting promotions to Wedding Receptions and Garden Ceremonies. The Function & Events Coordinator will go to every length to make sure that your occasion lives up to all your dreams and endeavor to exceed your expectations! JB's Bistro has excellent Australian Cuisine at GREAT PRICES, good old fashioned service and a function room available for 20-200 people. The Public Bar has full TAB services till last race and great midweek $9 lunches. You can also check out 40 of the latest poker machines, supercash $10,000 jackpot and daily promo's with great giveaways! Talk to Sydney-siders about their favourite city watering holes and one place comes immediately to mind: the breathtakingly ornate Marble bar downstairs at Hilton Sydney. Built in 1893 and preserved in all its opulent glory throughout Hilton Sydney’s extensive renovations, the Marble bar is both a haven of Victorian excess and a stylish place to enjoy live music, an Aussie ale, a fine wine or a classic cocktail. Step into its graceful interior and surrender to the charms of its marble arches, stained glass doors and ceilings, ornate carved mahogany bars and famous gallery of Julian Ashton rural nudes. ** Service Charge - Credit Card payments incur a merchant service fee of 1.5% in addition to the total amount payable. 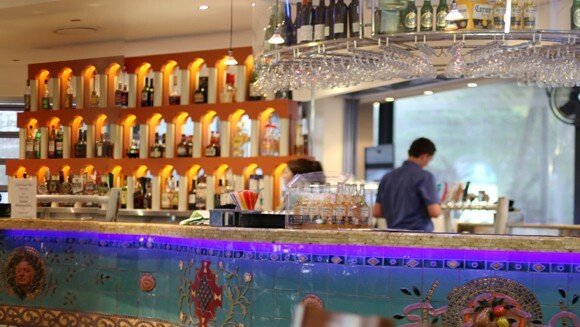 State of the art, newly refurbished, trendy and friendly are just a few ways to describe our Main Bar area. Relaxing house music and pool table make this area is the perfect place to sit and watch the busy world go by. 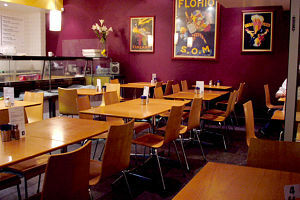 This bar offers ATM facilities and access to courtyard and bistro area. 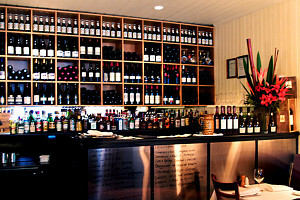 The main bar offers a huge range of icy cold tap beer, finest wines and cocktails to please. Entertainment goes along with the style providing special prices to match the current events. 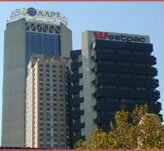 UniLodge Sydney fully furnished student apartments is a great place for students in Sydney to live. UniLodge Sydney provides you high quality, fully furnished student accommodation in close walking distance to the University of Sydney, UTS and other SydneyColleges. Just as close are major shopping centres, cinemas, theatres, DarlingHarbour and Chinatown – making UniLodge Sydney an excellent choice for you if you are a student looking for accommodation that offers convenience, safety and security. Our self-contained, furnished studio and loft apartments have ensuite bathrooms and kitchenettes, and are purpose-built for student needs. Our on site residential staff welcome students and organise regular social events so you can make friends easily. Facilities at UniLodge Sydney include 24 hour management/security, internet access from all rooms, a swimming pool, spa, student lounges, a rooftop BBQ area, common kitchen areas and laundry facilities. 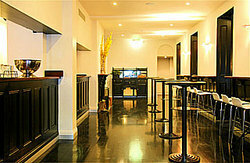 The Village Hotel is located on the fringe of the CBD on the corner of Liverpool & Palmer St in Darlinghurst. The Village is a boutique pub with a gastro restaurant 1st floor, cocktail lounge 2nd floor and our roof top top floor. 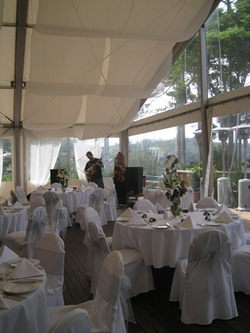 Apart from being a popular public bar & restaurant the village is also one of Sydney's most sought after function venues hosting over 500 private functions per year. From a small drinks gathering to a large corporate function for 500, the east village has a room to cater to every demand. The Village Hotel offers 4 floors of quality function space each with its own bar, sweeping city views, ottoman lounges, polished floorboards & stereo sound. The Village has a very strong artistic flavour and comes alive with a variety of weekly events including live music, theatre, comedy and dance classes. Introducing our new summer jazz sessions with "The Wax", more up and coming comedy, theatre and plenty of other events throughout the rest of the year. Kapsali specialises in tastes and delights from the Aegean to the Adriatic, with an extensive menu featuring Greek cuisine, seafood and steak dishes. 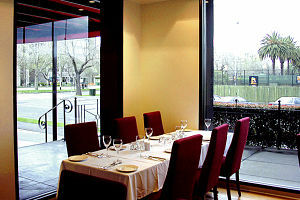 Kapsali presents a unique dining experience overlooking the beautiful South Bank Parklands lagoon. 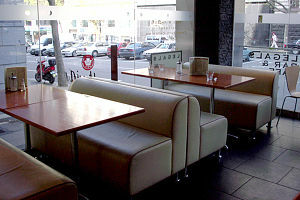 Kapsali is a fully licensed restaurant operating Monday to Sunday - 12 noon till late. 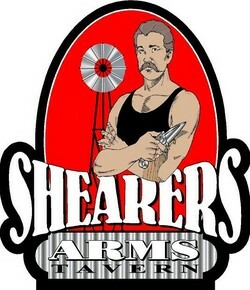 Come in and enjoy the entertainment on a Friday and Saturday Night. Head on up to the Roof Bar, open Thursday, Friday and for private functions, to enjoy Sydney's latest outdoor watering hole. With views overlooking the iconic clock of Central and Sydney city, The Aurora Roof Bar is quickly becoming Surry Hills’ destination of choice. The Roof Top is ideal for any size function with a very modern design and at night be amazed by the lights of the city whilst you relax. Kippax Lounge, one level below the Roof Top, is a modern elegant room. With skillful use of color schemes and lighting a continuous pattern on the level unites the area whilst varying furniture sections the room allowing for multiple usage. Lounge areas are relaxed and private. BLVD, Melbourne’s newest icon in waterfront venues. Drink or dine indoors, or out, while enjoying the stunning combination of picturesque city views and waterfront ambience. Prominently situated overlooking Queensbridge Square, in between Southgate and Crown Casino, north facing over the Yarra River, Blvd offers a sunny outlook in comfortable surroundings including floor to ceiling glass over two levels accentuating our panoramic city views. 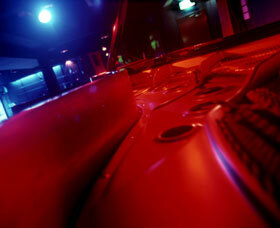 Syn Bar is a bar on weekdays for after work drinks and a nightclub on weekends with massive parties. 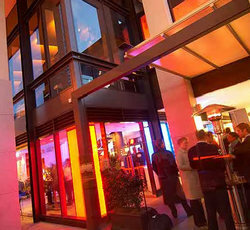 With its sleek & modern styling, Synbar is suited to a whole host of moods and occasions. A generous dance floor, massive balcony, VIP area, private booths, and two full size bars ensure that whatever your mood, Synbar is the place. Stylish yet casual after work drinks on Tuesdays to Fridays lead up to classic Retro and groovy RnB ol'school tunes Friday nights and thumping house & electro Saturdays. Catering for functions of up to 300 Guests, Synbar is the venue for your Corporate Functions, Product Launches, Exhibitions and Fashion Shows, Hen's nights, Birthdays... or massive parties just 'cause you can. 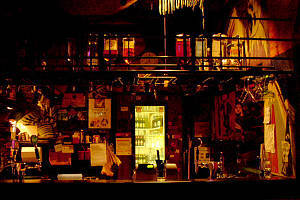 The Ding Dong Lounge is filling the void in Melbourne's rock'n'roll scene - sure we got the venues and plenty of bands that want the limelight, but now comes a mid-sized venue that can be your after work drinking hole or a place to see some of the scene's best local and international bands. 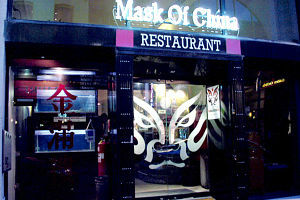 The Ding Dong Lounge is nestled in the centre of Chinatown, but never before has a rock bar existed on this strip. The emphasis is on good music, definitely no electronica and stars a host of young DJs spinning the decks with everything from The Ramones, Television, T-Rex, The Runaways, AC/DC, Turbonegro, Iggy & The Stooges and a stack more vintage and contemporary rock to salute you. 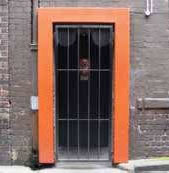 Feel the aura of Melbourne's hottest new venue, where style and sophistication is the key. Located on Bourke Hill in the centre of Melbourne's night life, Aura's unique ambience and stylish décor, coupled with its selection of premium quality beverages, make it the perfect corporate hangout for early in the evening. Later on the lights are dimmed and the volume turned up as you dance the night away to the sounds of the resident DJs playing the freshest house tunes in Melbourne. You must experience Aura before you can truly appreciate it and finally see why it has been so appropriately named. 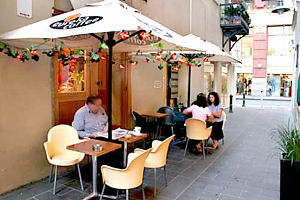 Melbourne's Belgian Beer Café Bluestone, St Kilda Road, and the Belgian Beer Café Eureka, Southbank, are unofficial embassies of Belgium and promote Belgian culture, beer and cuisine in an authentically Belgian environment. 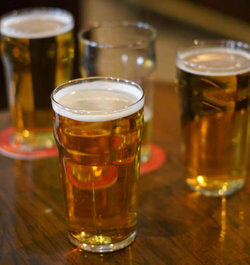 At the Belgian Beer Cafés Melbourne, which are renowned for steaming mussel pots served with frites and house made mayonnaise along with Belgian waffles, you can find five draught Belgian beers: Stella Artois, Hoegaarden, Leffe Blonde, Leffe Brune and Belle-Vue Kriek. A unique nine step pouring ritual ensures the perfect pour. The interesting upstairs-downstairs space that used to be Zukini has blossomed into this equally interesting restaurant/bar combo. Upstairs, along with the food, is the spectacle of 300 light bulbs adorning the ceiling (fortunately, not all switched on at once). 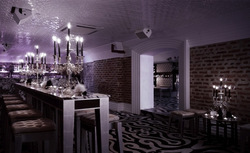 In the luxurious basement is the bar, a cosy venue perfect for a civilised drink. 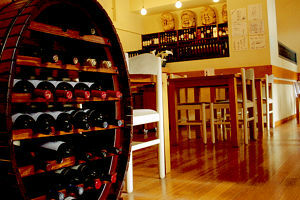 There's a tidy wine list, some nice bottled beers and good cocktails. Through the door & down the staircase into our 1920's style "Indiana Jones-esque" Opium Den, delicate aromas of the Orient capture your senses. 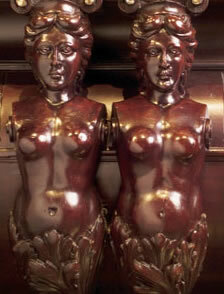 We (the good looking ones) guide you to a place at the bar or one of our hidden away tables. Refreshing cucumber water is served to cleanse your palate, ready for a taste explosion in solid & liquid form, chosen from one of the most comprehensive, educational & enjoyable menus you've ever read. Throughout our menu you will see incredible Asian cuisine complementing a wonderful cocktail list: innovative Asian themed house cocktails. All of our drinks are made with the finest ingredients we can lay our paws on. Glance through our library of luxury products and you'll see one of the best premium spirit selections in Melbourne, served by some of the most knowledgeable staff around. 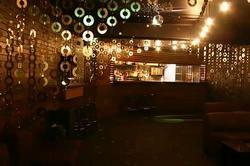 Check out Shaolin Funk on Thursday nights: Melbourne’s biggest live R&B night. 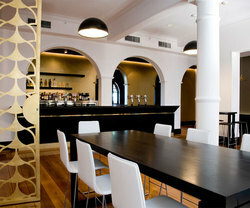 Multi-award winning venue, including 2 time winner of Australia’s Bar Of The Year at the Australian Bar Awards. All Nations is a backpackers hostel as it should be: inclusive, communal, with a living, breathing party atmosphere and run by characters who are probably crazier than you! Situated in one of Melbourne's best central city locations, right between Southern Cross Station, the Yarra River and Southbank, the hostel is housed in an old renovated building with high ceilings. Join the hostel staff and our backpackers for free nightly activities that include sword swallowers and Pinatas! Very London or New York, this minimalist, super suave restaurant, designed by Sydney's Ian Halliday, is splendid. 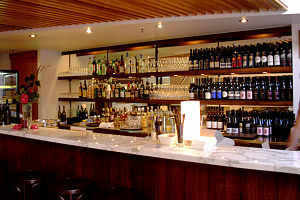 Walk in off the Collins Street level to the long narrow bar, for light lunches, coffee and drinks ascend to the restaurant. The interior design of this deep narrow space is about spots of light, the vast whiteness broken up by one textured grey wall. Stainless steel tubes, spectacularly rise three floors in the stairwell. Named after the legend Eddie Charlton this bar/pool hall is a great place to come to be entertained any night of the week. Enjoy a game of pool with your mates as you relax and catch up or head into the Karaoke room, a great place to meet people and have a sing along as well. Club Retro, open every Friday and Saturday night is the place to be for the biggest events and best tunes grankin from the best DJ's. From Power Pop to Power Ballads, Rock to New Romantic it's all at Retro Club. You'll hear tunes from the 70's, 80's & 90's blast out of the speakers on the three huge levels every Friday and Saturday Night. 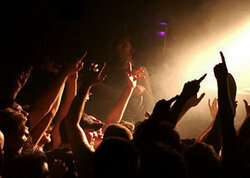 Bring your friends for a big party night at Melbourne's favourite party destination. 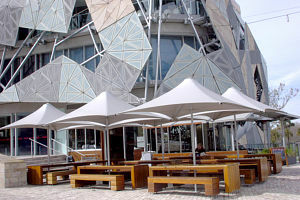 One of Melbourne’s greatest dining experiences Collins Quarter, are open for breakfast 5 days a week and lunch and dinner, 6 days a week. Enjoy a delicious meal or snack made by head chef, Michael Nunn. Upstairs, you’ll find Ra, the champagne lounge, where you can enjoy all things fancy whilst reclining in a comfortable lounge. 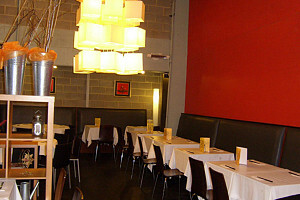 Downstairs offers a range of dining areas, including booths that are set in front of an open fireplace for winter. The Magnolia Courtyard offers a unique outdoor drinking and dining space with a retractable glass roof to let in the sun or shut out the elements. Whether it be a cocktail you are after, a pot of local or imported beer, a glass of French Champagne or choice of a large range of premium spirits, we have it all. De Bier Haus is a unique socialising experience that brings together great European and New Zealand cuisine, and as the name suggests it's a great place to enjoy a beer or two. Influenced by the rich history of beer brewing and drinking establishments across Germany and Belgium. 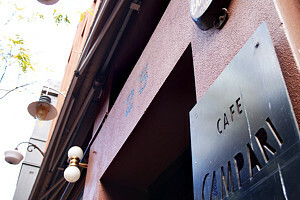 With a Paris/Melbourne style Degraves is the perfect place to drop in and have a coffee, cake and catch up. 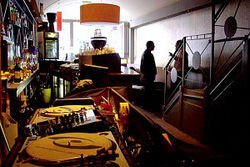 Right in the heart of Degrave's Street this groovy coffe house is the place to be seen. Baroq House offers an extravagant yet intimate space over three levels. From the intensely rich 17th century design to the extraordinary international drinking experience, Baroq House has set a new bench mark in VIP entertainment. Known locally as The Mansion, Baroq’s impressive liquid list of fine wines, champagnes, beers and spirits has been complemented by an extraordinary list of cocktails. From the decadent Dom Perignon charged fresh fruit bellini to an absinth fountain for two, the drinking experience at Baroq House is both original and unique.